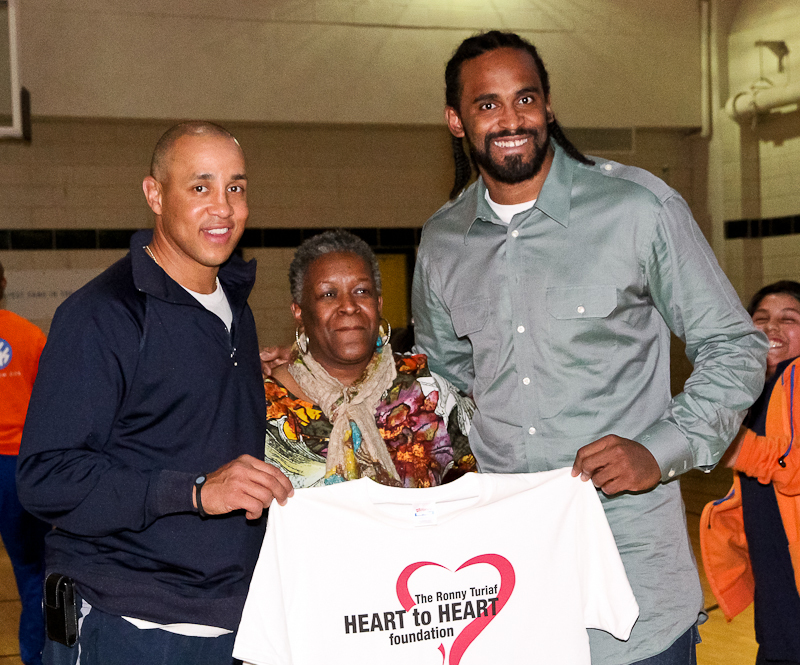 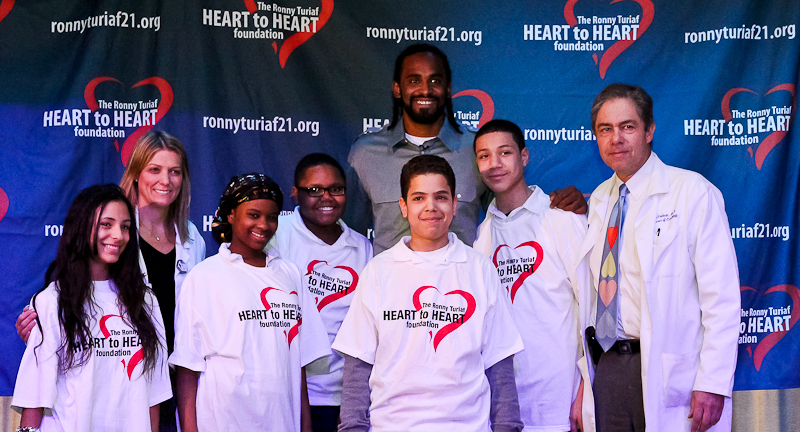 New York Knicks center Ronny Turiaf and his The Heart To Heart Foundation teamed with Garden of Dreams Foundation to host a day of heart health screening for young students at PS/MS 218 located on 167th Street in the Bronx. 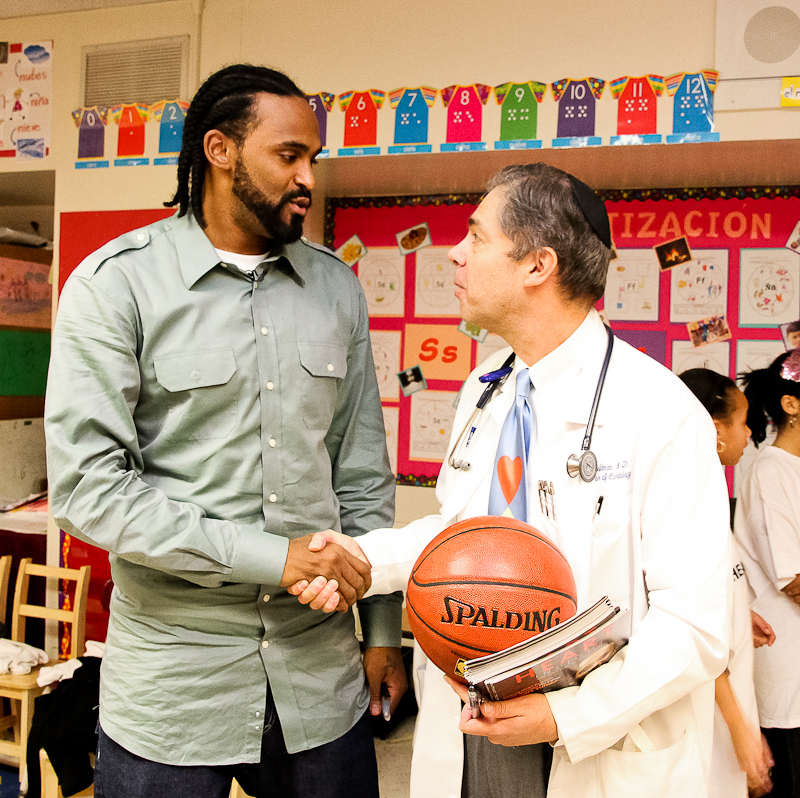 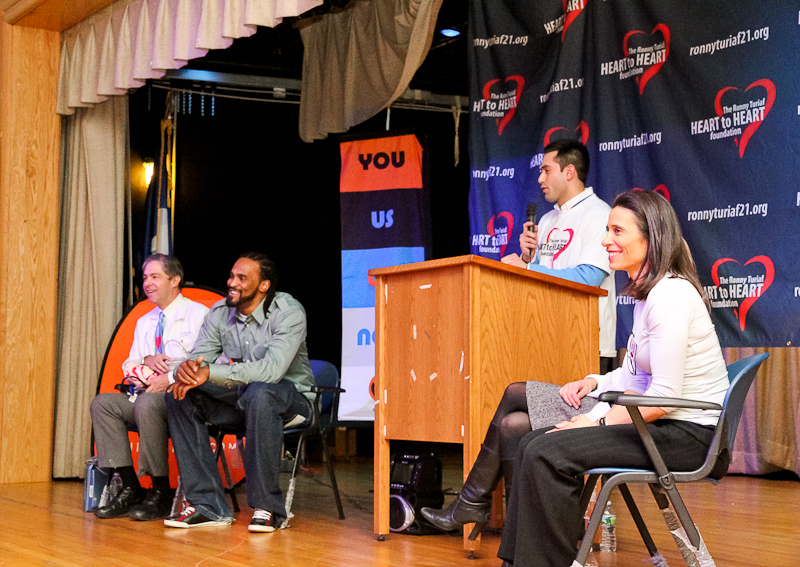 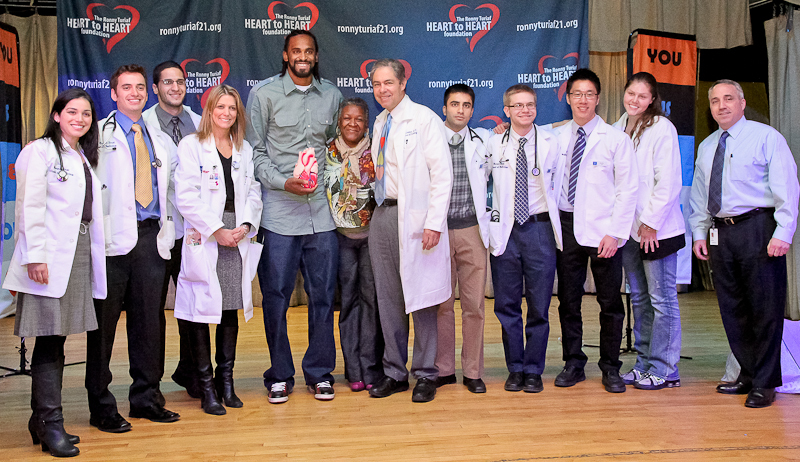 Turiaf was joined by Garden of Dreams director Karen Buchholtz, cardiologist Dr. Martin Goldman and Dr. Lori Croft. 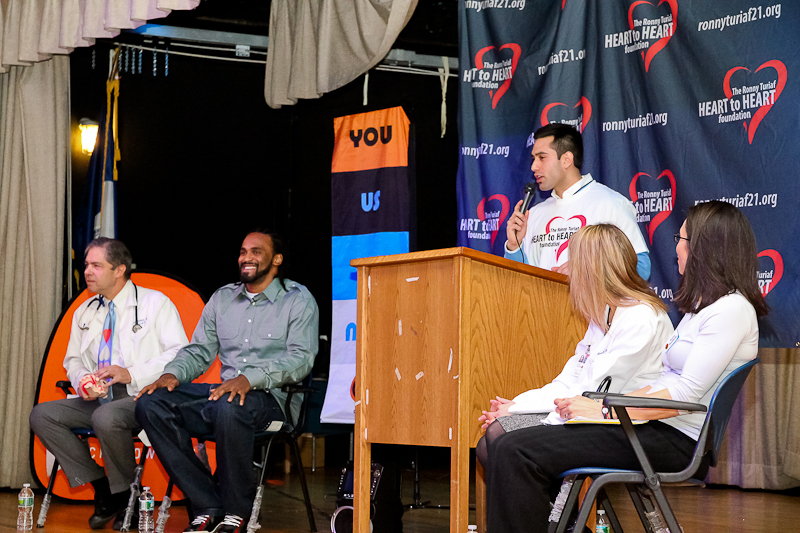 Dr. Goldman began with a true story about a wealthy friend who owns 14 cars who, unfortunately, takes care of the engine of his cars more than the engine of his body, the heart, and is now suffering health-wise. 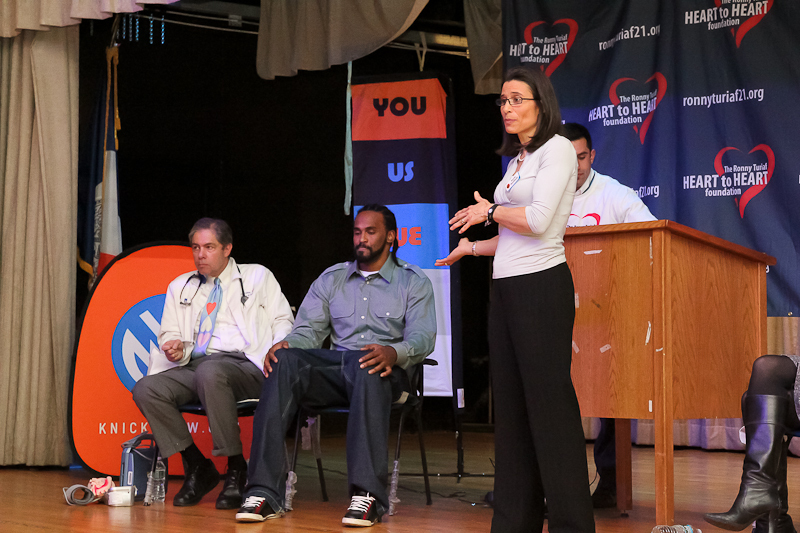 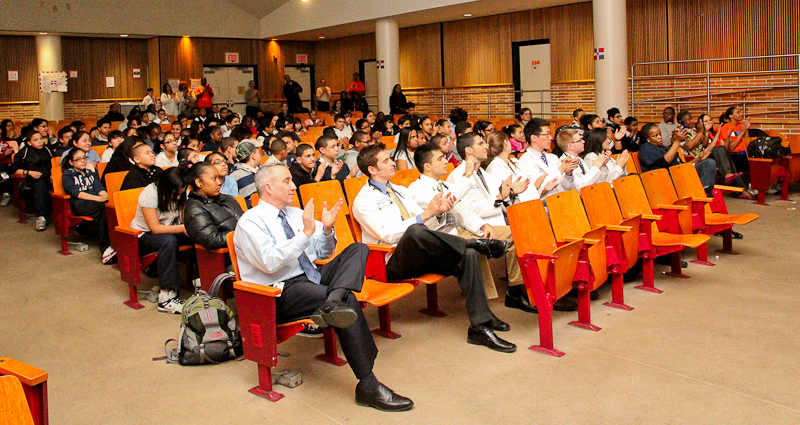 This story grabbed the attention of the students, as did Dr. Croft, when she mentioned the startling statistic that someone dies from heart disease every 37 seconds. 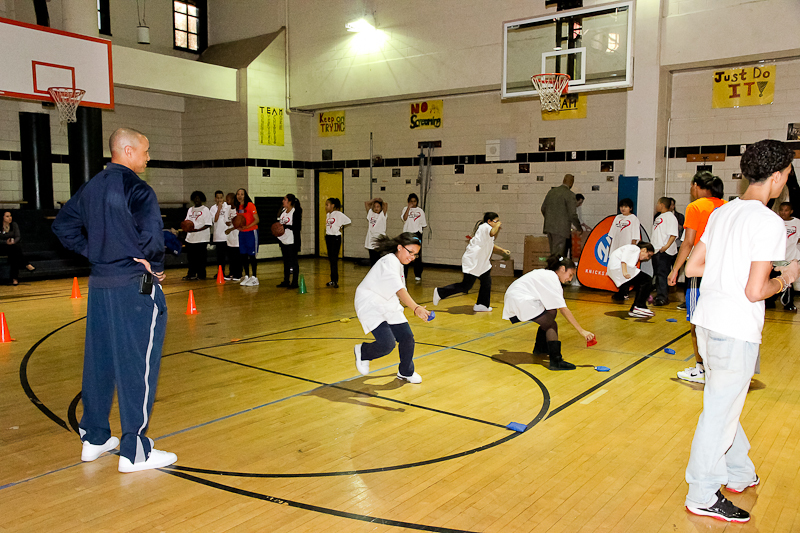 Former Knicks guard and current Alumni Relations and Fan Development Advisor John Starks was on hand as well to host a basketball clinic for students as well. 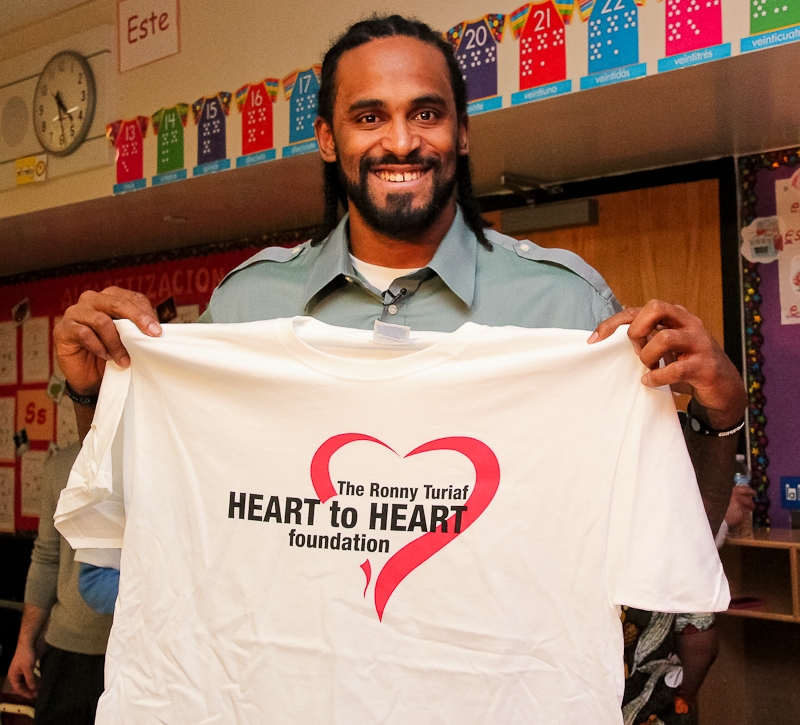 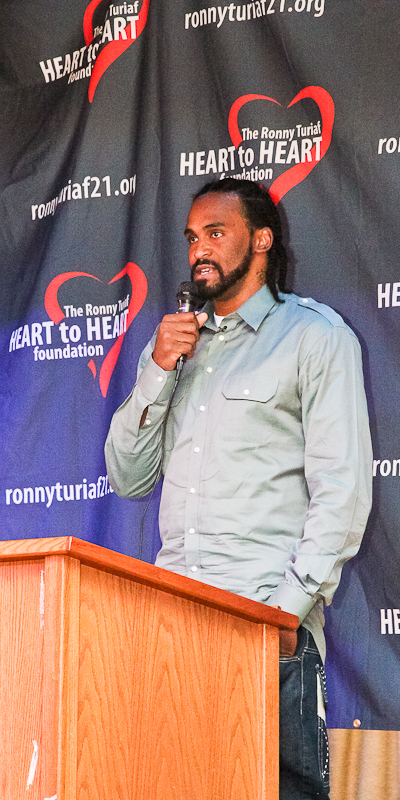 For more information on The Heart To Heart Foundation, visit ronnyturiaf21org/heart-to-heart-foundation. 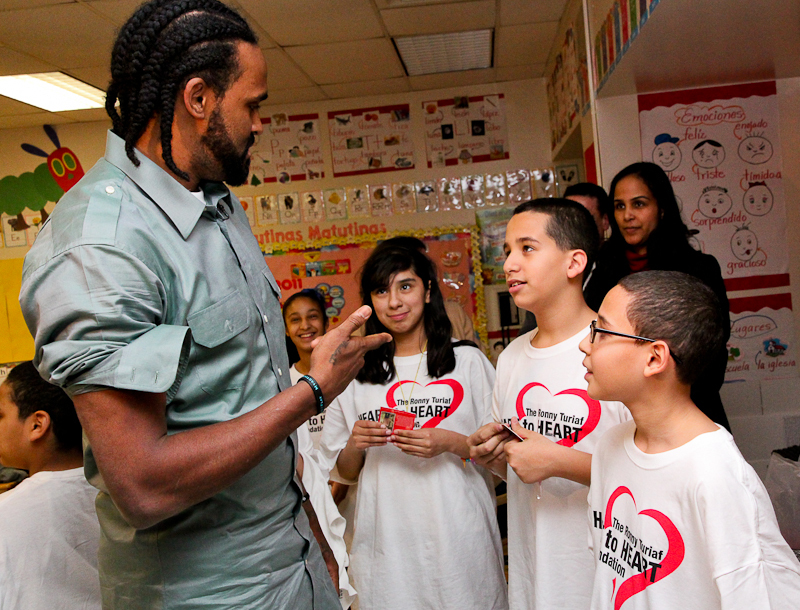 For more information on Garden of Dreams Foundation, visit gardenofdreamsfoundation.org.